As you may know from reading this blog, Silent Sam and I have sleeping problems. It seems there is an official term for it - sleep maintenance insomnia. It means that we fall asleep just fine but we wake up during the night or early morning and can't get back to sleep. Since we fall asleep just fine, most of the insomnia or sleeping problem tricks don't work for us. So, I have done some more research. Apparently they tie this type of insomnia to stress. Yes, I think they are right. So here are some new tricks for us to try. 1. If you wake up and can't fall back to sleep within 20 minutes, get out of bed and read (but don't use a bright bulb use a lower wattage bulb so that you don't stimulate your brain to totally wake up) Do not watch TV or use a computer as the light emitted by screens is stimulating to the brain. 2. Stay out of your head - hmmm... this one means that you shouldn't concentrate on how you aren't sleeping but rather think about the feelings and sensations in your body. What do you do when you can't sleep? Do you have a great technique for us to try? Let me know! Wow, I am so surprised and thankful! A wonderful fellow writer had awarded me the Versatile Blogger Award. Winning this award comes with responsibility. First off, I have to thank Kristi - how could I not! The next step is to tell Kristi seven things about myself. Well, this will be interesting. 1. I am the youngest of five children. 6. Don't tell anyone but I am thrilled that a new season of What Not to Wear is about to start. 7. I think that if you pass up a fattening food that you should have the calories deducted from your daily calorie count. Diabetes Blog Week is over and I should be thrilled. Now I can go back to blogging on the topics that I pick rather than topics picked for me. Unfortunately, I am a complete blank. How can this be? I usually have some idea what I would like to talk about but tonight I am staring at the computer screen. I think that Silent Sam and I need a pick me up. I think we have both lost a bit of our enthusiasm. We need a swift kick to get going and excited again. How can we do that? Usually you might pick food as an incentive but that is about the opposite of where we should be right now. So what will get us moving enthusiastically again? I think that we need to pick a new goal. We are in the time between 5Ks - we finished the one and the next one isn't until the fall. That is actually on purpose - I am not interested in walking in the heat. I really hate to sweat. The thought of paying to walk in the heat makes no sense to me. No, I will wait until fall and then walk a few 5Ks. Since Silent Sam is not exactly of fan of me setting goals for him, I suppose I need to set one for myself. I think I will set my goal to get on my bike. Specifically, riding my bike to the medical building that I manage. It is about 5 miles away and I have not been on my bike for a L O N G L O N G time. I did get the tires filled a few weeks ago and I got on for a minute. I felt really shaky so this will take some work. All right, we are set - I have my new goal that will in turn bring new enthusiasm to my life. If I keep saying it it may come true, you know. I will see if Silent Sam wants to set a new goal for himself. It is Day 7 of Diabetes Blog Week! The last day is upon us. Today's topic is our Diabetes Hero. I think that my readers know (ad nauseum)that Silent Sam is my hero. So.... I am going to take a wild card and give you a recipe today. This is one of the first recipes I made when we started changing our diet. It is fast, easy, and has been very popular. 1. Set a steamer basket in a small amount of simmering water in a saucepan. Put the potatoes in the basket. Cook, covered, for 8 minutes, or until tender when pierced with a fork. Drain. 2. In a medium bowl, gently stir together the cooked potatoes and the remaining ingredients except the Parmesan. 3. Gently stir in the Parmesan. This recipe serves 4 - there is 1/2 cup per serving. 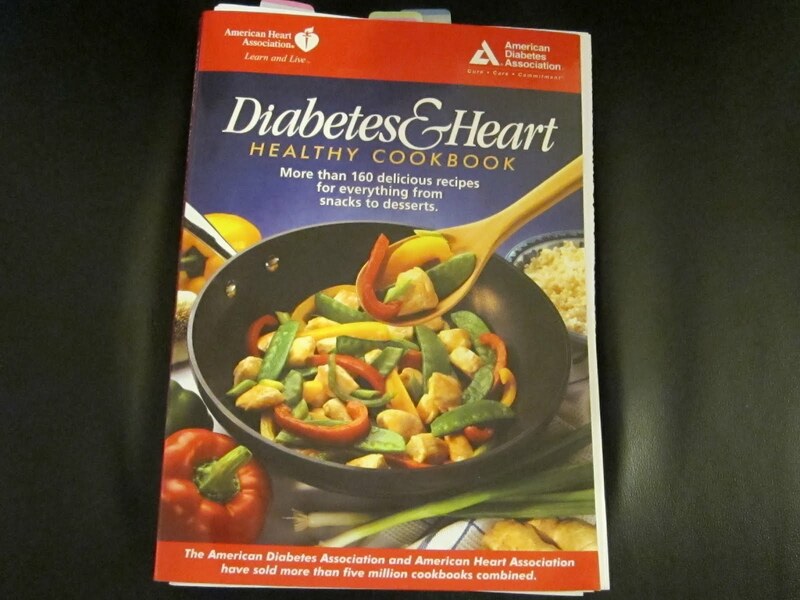 This recipe is from the Diabetes & Heart Healthy Cookbook by The American Heart Association and the American Diabetes Association. This is my favorite cookbook. The recipes are simple to make and very tasty. So today's post is about some diabetes misconceptions that I would like to see cleared up. My problem with his approach is the problem that I have with some medical personnel. First of all, he strongly suggests that most people who become diabetic are fat slobs who got the disease because they are fat slobs. This might be a bit of oversimplification. There is a hereditary component to the disease that cannot be overlooked. Also, do you really want to be helped by someone who tells you that you are heading toward this disease because you are a fat slob? It really doesn't do much for me as far as bedside manner. Perhaps an alternate approach might be to explain the health problems associated with the disease and start the patient with a nutritionist. A great approach also might be to have the spouse present at the meeting. Discuss the team approach with the patient and the spouse or significant other. I think that finding out that you can lose your sight, your limbs and your life can have an impact on a person especially if you explain why that happens. Ask the patient to incorporate the changes slowly. Try to get them to start a reasonable program that could sound like it would be easy. Ask them to start with easy changes that don't sound like their world is coming to an end and that they will be eating twigs and berries for the rest of their lives. I guess it all comes down to encouragement rather than threats. Bringing the patient's lifestyle into balance not condemning them to the "bad child chair". So tonight's topic is the fantasy diabetes invention that would change our lives. We actually have three votes in this category. My first vote (I get two votes because I am the one writing this...) would be for a chip to be implanted in our brain that would program us to love exercise and HATE non-nutritious foods. Just think, we could turn up our nose at cake or ice cream or candy or COKE.... Free will be damned, we would be model patients. The last idea that we have is for a magic wand to make this all go away. I will be honest, I don't really want to go back to where we were. I am happy that we are making the changes that we are making; I am sorry that we are making them because Silent Sam has this disease. We are doing what we should have done and in reality, it feels pretty good. I just find the disease to be pretty scary and could easily use the magic wand to make it go away. Do you feel that we copped out on this one? Not really, it is just that we are fortunate that we don't have to worry about so many of the things that some diabetics worry about. Because of that, our wishes can be for bigger - non every day - things. When our son was little, he used to play a game called "If everything were a penny". The point of the game was to talk about the things you would have (real or imaginary) if they only cost a penny. He had quite a list... Even with that game, you could not buy your health. So, tomorrow we are going to talk about "What they should know". I will be posting about what I wish people knew about diabetes. Today's topic is "What one thing would we improve." This is so easy compared to yesterday. One thing that we need to improve is for Silent Sam to remember (and for us to remind him) to take his levels before dinner. We had a similar problem when he was supposed to "shoot up" before dinner. I wrote about this once and received a great suggestion. 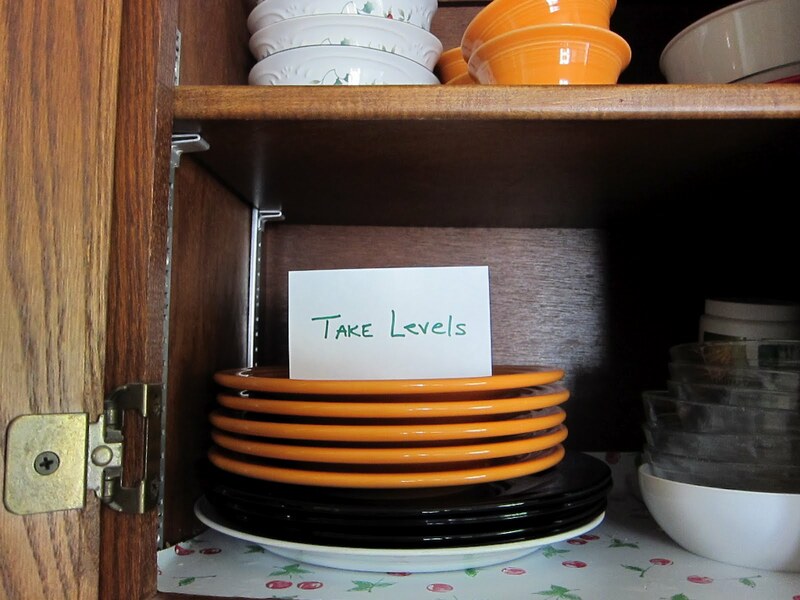 That suggestion was to put a reminder note in the cabinet on top of the dinner plates. This would probably really work if one of us would actually put the note in the cabinet. So, I have done it - I have made a little sign and put it into the cabinet on top of the dinner dishes. Hopefully this will help us with this one problem. Thank you, Karen, from www.Bitter~Sweet Diabetes.com for having me write about this. By bringing it to my attention again, we might have found a way to help. My mind is already reeling for tomorrow's topic. A Fantasy Diabetes Device. I cannot guarantee it yet, but I think that the device may involve electric shock therapy.... Just kidding! So here we go. Today we write about the one diabetes thing that we do SPECTACULARLY. That is daunting. I don't know that I have ever done anything SPECTACULARLY. Except maybe fall. I am really good at falling. Embarrassingly enough, sometimes I can burp SPECTACULARLY but I could never admit that about myself. That would not be very ladylike, would it? Okay, so forget that. Silent Sam and I had a conversation about this topic. We were both scratching our heads about what I could say that we even do right, forget SPECTACULARLY. Of course we were being a little hard on ourselves. It sounds simple but I don't think that it is, especially for Type 2 diabetics. He is concerned and follows the "rules" as best he can. Acknowledging a disease that one can't see or feel is hard. Diabetes is a long term problem and long term is daunting. So this week we will be doing something new at The 9 Inch Plate. I am joining fellow diabetes bloggers in the Third Annual Diabetes Blog Week. This is a week that over 200 Diabetes bloggers join together to discuss the same diabetes topics. To make this a bit more complicated, today I am also writing my blog using HTML. Why, you ask? Well, I wanted to get that banner across the top of today's post and I could only get it there using HTML. Here is the secret - I don't really know HTML. I am trying to learn about it so that I can do a web site. If I keep this incredibly simple, we might just be okay. Today's topic is Find a Friend. We are to go through the list of fellow participants and find blogs that we weren't reading yet and connect with a new friend. I started going through the list. Wow, there are a lot of blogs. I started just picking at random and reading. There were some that were very interesting. The only thing was that most were Type 1 diabetics or Moms of children with diabetes. They all have quite the stories to tell. I was trying to find a friend that would also interest people who read my blog. That way we could both find a friend. I found someone that I thought was interesting. While she is a Type1 diabetic, which in my book makes her really very admirable, she is also athletic (we are trying....) and she has a great sense of humor. One of her posts told diabetic jokes. Okay, here is the blog for me! Running on Carbs is the blog I would like you to check out. Celine's blog is about running, diabetes, and life. She also talks about swimming and shopping. Check it out - I think you will enjoy it. Let me not forget to talk about Karen. Karen is the one who started Diabetes Blog Week. She has a blog that I also really enjoy. So check it too Bitter~Sweet. I know I have mentioned several times how important foot care is for diabetics. To further the point, I met and talked to Dr. Tayeb Hussain of Evanston Podiatric Surgeons P.C. I had the chance to ask him some questions about diabetic foot care. There are two main reasons. The first is that diabetics are very prone to foot complications due to decreased circulation in the feet. What looks like a simple callus can be the start of a problem. A callus can lead to an ulcer (infection) which can lead to the loss of the toe, foot, or even leg. There are 15 MILLION amputations on diabetic patients A YEAR! The second main reason is that diabetics can lose sensation in their feet and this loss of sensation makes them at increased risk. For example, a diabetic patient with loss of sensation in their toes can accidentally nick the skin while trimming their nails, not feel it, and that can lead to infection. Should diabetics have a daily foot care plan? Yes! First thing every morning, a diabetic should check their feet with a mirror for sores and signs of infection. This means thoroughly looking at the whole foot (top, bottom, sides, and between toes) for any indications of a problem. The foot check should be repeated again at the end of every day. Is there anything in particular to watch for when checking your feet? Calluses are a big issue. If you have calluses, you should use a moisturizer. Do not try and pare calluses down yourself. Because calluses can lead to infection, a diabetic is much better off having the doctor treat the callus than trying any self treatment other than moisturizer. .
How often should a diabetic patient see the Podiatrist? This depends on their age and how stable they are. A healthy diabetic patient who is under 50 years old should see the podiatrist every six months. A diabetic patient who is over 50 should have their legs and feet checked every three months. It the patient is over 65, they should come in every 2-3 months to be checked and also to have their toe nails clipped. What happens at a visit to the Podiatrist? The Podiatrist performs a Comprehensive Diabetic Foot Exam (CDFE) which is a non-invasive examination of the feet and legs. The exam evaluates the condition of the skin and checks the circulation of the leg and foot. It also looks for neurological changes in the sensations of the foot. Diabetics are told to exercise - is there an exercise that is better for diabetic's feet? Any exercise that increases the circulation to the feet is good. Walking is great exercise and is easy to do. While circulation can be helped, the sensory changes cannot be helped by exercise. Controlling your blood sugar level is really important for maintaining your health. Is there anything to be careful of when buying shoes? There are two important things about buying shoes. The first is that the length of the shoes should be longer than the length of the foot. You should be able to press your thumb in between your toe and the top of the shoe. The second thing is that the shoe should have extra depth. In summary, what is the one thing that every diabetic patient should know? Every diabetic patient should have their feet checked each time they go to the doctor. This is not something that physicians did on a regular basis in the past. Increased education both for the doctors and patients has helped with implementation of this necessary exam. The diabetic patient should take off their shoes and socks and make sure the doctor checks their feet. Dr. Tayeb Hussain is the founder of Evanston Podiatric Surgeons, P.C. in Evanston, IL. His web site is http://www.evanstonpodiatric.com/. He is licensed for Podiatric Medicine, Illinois and Wisconsin, Board Certified in Podiatric Orthopedics, Board Certified in Primary Podiatric Medicine, a Certified Wound Specialist, a Fellow, American College of Foot and Ankle Orthopedics and Medicine, andCertified in Pulse-Dye Laser and Carbon Dioxide Laser Technique. I know now where my race planning was off. You see, when I was working toward the goal of walking the 3.1 miles, I was not thinking about all the other walking involved with a race. Right now, I drive to the lake, get out of the car, walk about 10 feet and start the walking path. 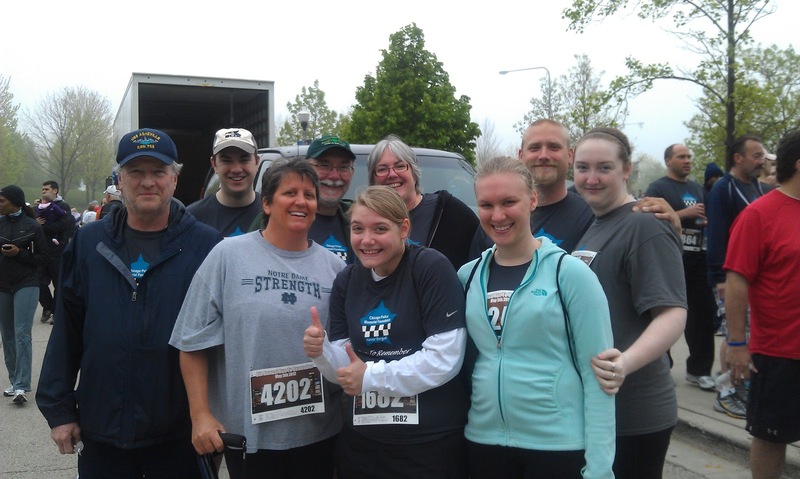 On the day of the race, we parked, walked 3 blocks, waited a half hour, then walked to the starting gate and started walking. Also, since I was so used to my walk, the new route seemed REALLY long. There was a slight hill at the end of the route, which seemed unnecessarily cruel. I kept thinking that the finish line must be around the next curve and it wasn't. Also adding to the cruelty was that Silent Sam was walking beside me NOT EVEN SWEATING! The man I married can sweat in a refrigerator. Not when he walks with me apparently. I was sweating so much that my glasses were steaming up and he is having a nice walk in the park. (You could see my self esteem plummeting. I think it was a visual thing!) 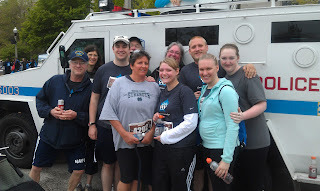 It was 50 degrees and foggy and I was out of my sweatshirt and down to my tee shirt before half way through the race. His hands were still cold. On Sunday morning, I was stiff but I got up and walked again. I will say that after I walked, I felt better. It worked out a lot of the stiffness. That was good. Monday rained. Walking was a wash out. Then we get to today. I no more wanted to walk then fly to the moon. Really. I didn't care that the sunrise over the lake might be beautiful or even spectacular. I didn't want anything to do with it. I was stiff, my sinus's are bothering me, and I am behind in my work. I went anyway and did the whole 3 miles. I was slow. I felt cranky. AND I STILL DO. So for those of you who wanted this to be a lesson in "see how much better she feels after exercise", you lost out. It just was one of those days. They happen. The walk did not raise my spirits. It was slow and sloggy and blaaa. But I went. Sometimes you just have to work through those days and hope that tomorrow will be better. And now if you will excuse me, I think I might take a nap. I moved into dangerous territory. We had decided that I would make Bacon and Sun-Dried Tomato Alfredo Pasta for dinner. The recipe calls for Light Alfredo sauce which is to be purchased from the grocery store. Unfortunately, Silent Sam could not find Light Alfredo sauce. I looked up a recipe for Light Alfredo Sauce online and thought I would use that instead. Since our daughter has moved for her internship, I am cooking for two. I cut back recipes like this one because I am not sure that these would be the best leftovers. I did it. I changed the recipe. It just looked like it needed more and less. More veggies and less bacon. Especially for two. Spray pot with Pam (or similar spray) and brown the chopped garlic. In a small bowl, combine milk, broth, and flour. Try to get the flour mixed in and fairly smooth. Add to pot with garlic. Add salt and pepper. Continue to heat over low heat, stirring frequently until sauce is thick. Stir in cheese. Cook the bacon. When it is cooked, cool it and then cut into small pieces. Start the Light Alfredo Sauce. When it is thickening, add the sun dried tomatoes. Spray a pan with Pam (or other spray) and start the mushrooms. When the mushrooms are looking like they are cooking, add the spinach. When the spinach has cooked down a little, add the peppers. Then add the bacon in to warm it up a bit. Combine the Light Alfredo sauce with the mushrooms, spinach, peppers and bacon (pour the sauce into the vegetable pan). Drain the pasta and put the pasta on the plates. Pour the sauce/vegetable mixture over the pasta. You did it! For those of you who can cook, I know this is a nothing. For those of you cooking impaired - like me- this is a pretty good dinner that if nothing else can impress yourself. As you might guess, you can put any veggies into this recipe. I do think that the bacon and sun dried tomatoes are supposed to be the stars so you might not want to overload it. Let me know how it works for you. I welcome changes. Today I am thinking about terms that you hear so much that you think you know what they are but perhaps if you think about it you are not sure. 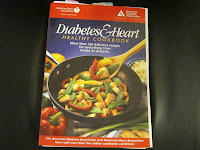 Since I am not a doctor nor a dietician, I have turned to the internet for the answer. This is a dicey proposition (a bit of a reliability issue...) but since the sources I found all agree, I think I am on safe ground here. An antioxidant is a substance (vitamin, mineral, or other nutrient) that seems to protect your cells against free radicals. A Free Radical? Is that some kind of dirty hippy? When your body breaks down food or even oxygen, there is an internal by-product which is called a free radical. They are like the Styrofoam peanuts that come with your new plates. They are great when they are part of the package but when you have the plates out, they are all over making a mess. Free radicals are blamed for lowering your immune system and can play a part in chronic diseases like diabetes, arteriosclerosis, cancer and arthritis. The most commonly known antioxidants are Vitamin A and Carotenoids, Vitamin C, Vitamin E, Selenium and Zinc. Which is easy to follow if you are up on your vitamins and minerals. (Which shockingly enough, I am not) To find the foods that contain these vitamins and minerals, your first stop is in the produce aisle of the grocery store. Think color. Think reds, yellows, greens, purple, and orange. Go with apples, peppers, carrots, tomatoes, squash, broccoli, berries, red grapes, eggplant, sweet potatoes, and peaches. Then you can move to the whole grains, nuts and seeds, and dairy products. Finally, you can visit the meat aisle and check out beef, chicken, and seafood. Gee, this is beginning to look like eating a balanced diet.... Remember the idea of dinner plate division? The concept of 1/4 protein (beef, chicken, seafood), 1/4 starch (whole grains), and half vegetables? Add a glass of skim milk and you are hugging those free radicals and improving your immune system. Really? What are you eating? The answer is that you can take a pill but it is not as effective for your overall health. You also have to be careful taking individual supplements. For example, Vitamin A is stored in your body so if you take too much in a pill form, it can be toxic. The foods mentioned have other nutrients that help your body so it is best to follow what your Mother always told you - eat your fruits and vegetables.